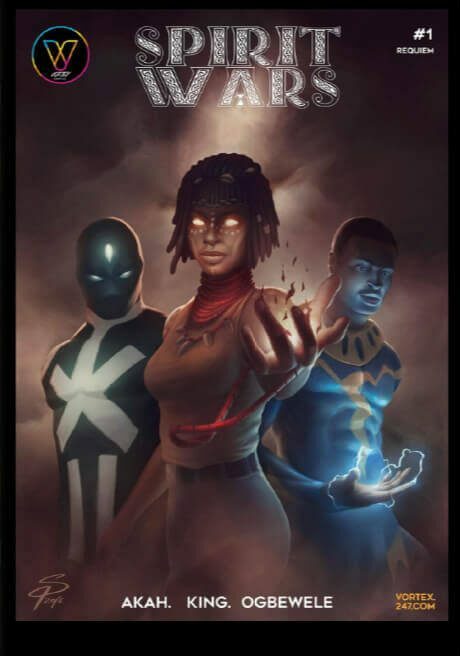 A Vortex Spirit Universe cross over event comic series which connects all the stories all the titles in an intricate mind boggling web. Ajagbeja has sworn revenge on fallen angel Moriak for deceiving him into the halls of death, he raises an army of Deities to wage war in heaven and over throw the host of angels to bring back the eternals to a place of worship and have the head of Moriak on a plate. Who will win the SPIRIT WARS, the plot goes deeper when they realise all this chaos a part of the puppet masters game.